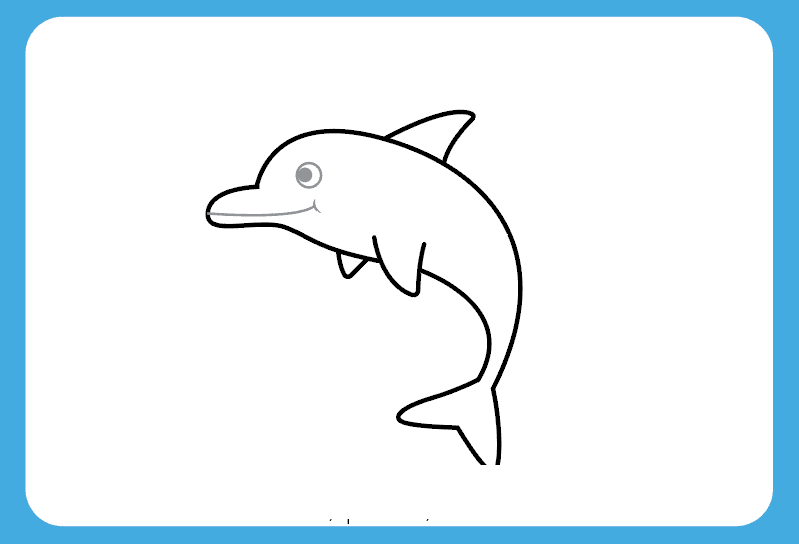 If you are going to draw the Dolphin for the very first time then we would say that although Drawing the Dolphin is not a big task if you are someone who knows how to draw quite well but still to make it better have yourself a source of visualization. 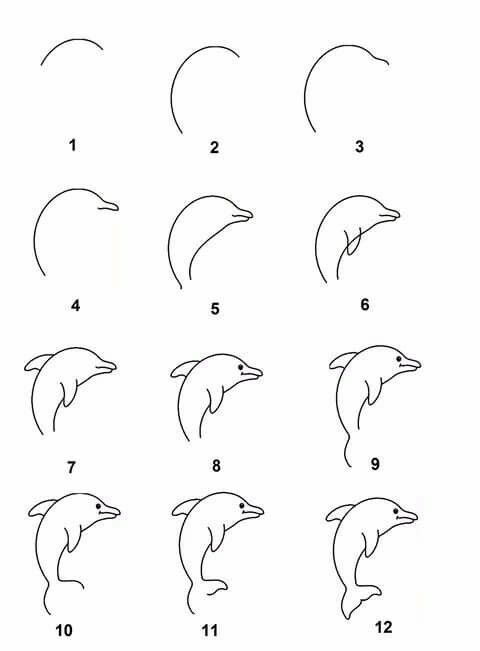 This source would help you to draw a Dolphin easy. 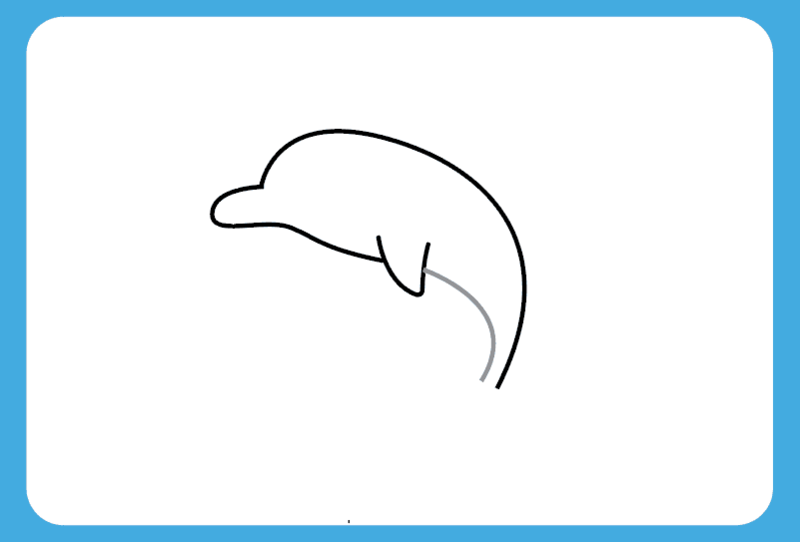 Drawing the dolphin’s tail and the head are the two essential elements of the dolphin’s overall shape and the both parts are quite easy to draw as well. 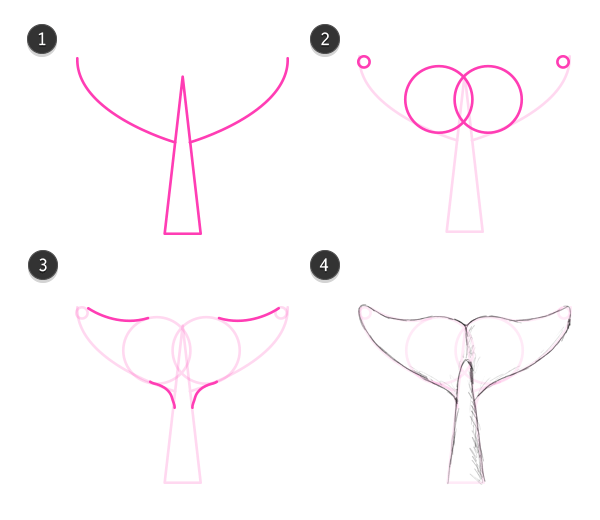 In order to draw the tail of the head you just need to draw the triangle at the bottom of the aerofoil framed body of the dolphin which would give a best tail shape to the Dolphin. 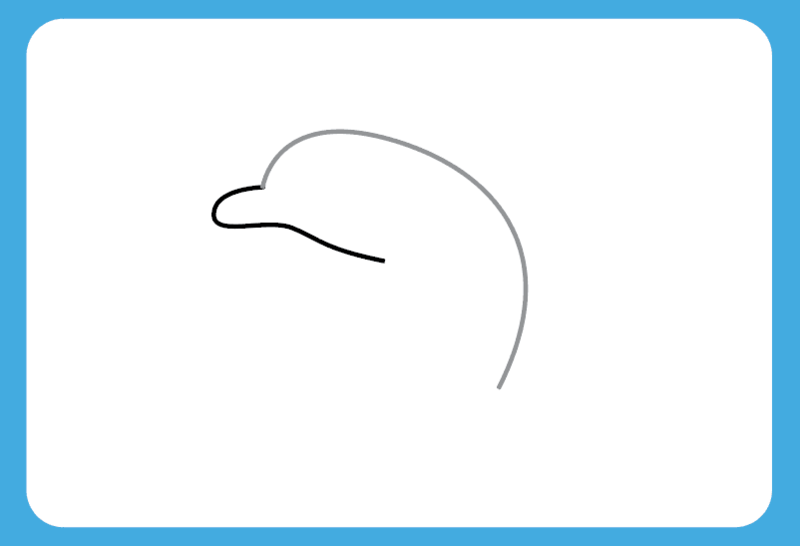 Further drawing the head is an easy task and for that first of all draw a circle attaching to the oval. 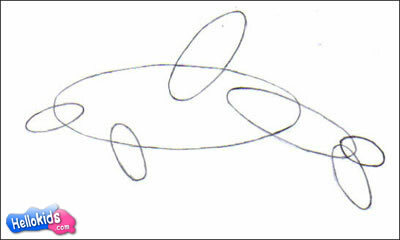 Next you need to find the position of the eye with the curve attached by the oval. Now you need to place that eye within that oval which is attached to the circle of head. 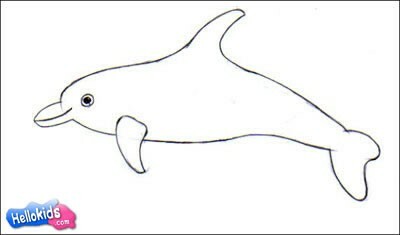 Then to give a smile shape to this Dolphin you can draw a small circle with a curve on the tip of the mouth. With this the head of the Dolphin will be completed. 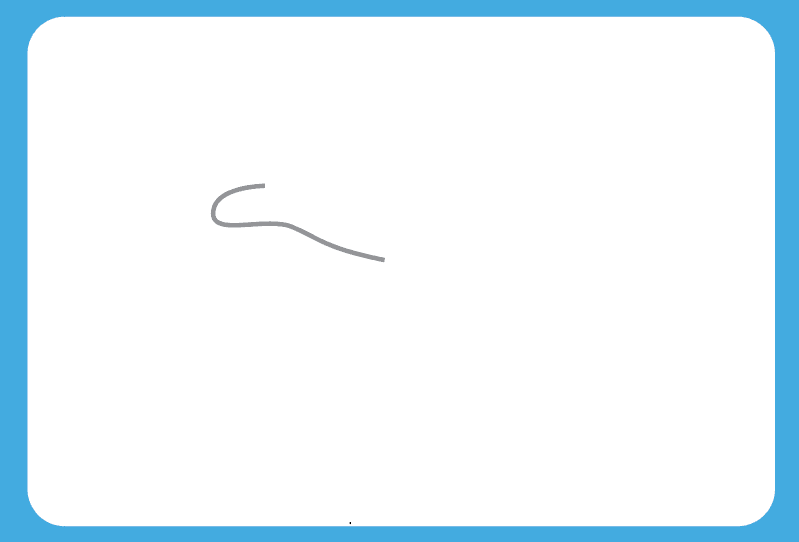 Drawing a Dolphin jumping out of the water is not a big task it’s all about the shape of the Dolphin which would give a jumping shape to the Dolphin. 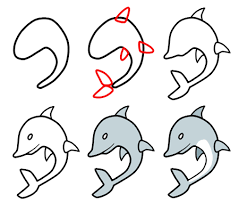 You can first of all draw a Dolphin with the same guidelines as we have provided above in the section a little changes which you will need to make is giving a curved shape to the Dolphin. 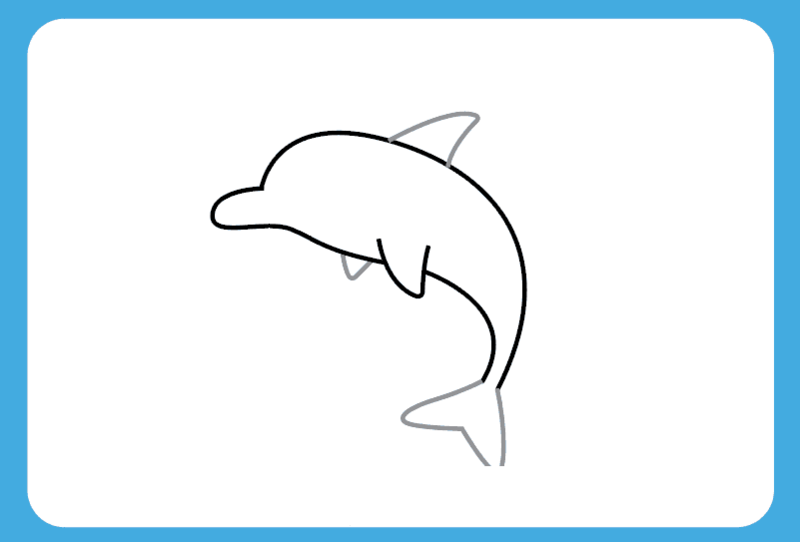 The curved shape will put the Dolphin as the jumping one and below the Dolphin you can draw the waves of the water which would complete the Dolphin jumping pose. Now at last give the final shape to the dolphin by the help of the pan or the marker and erase all the unnecessary lines. Finally fill the dolphin with the colors and the surrounding water as well. 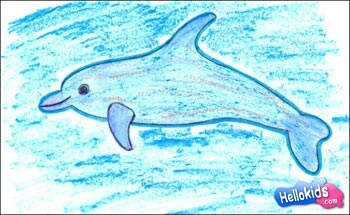 In this section we would provide you with some basic ideas that how can you draw the Dolphin cartoon. 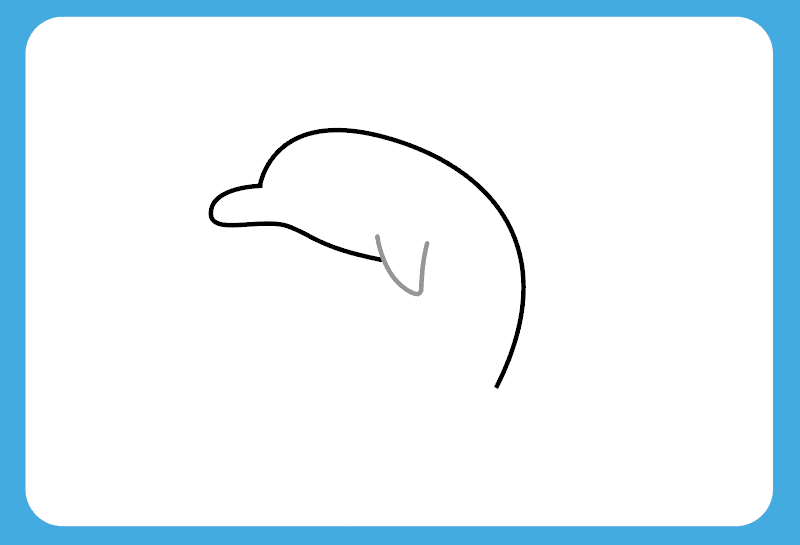 Keep in mind that drawing a Dolphin cartoon is purely the work of creativity and the Cartoon Dolphin may be given some unrealistic modifications as well. First of all keep in mind the structure of the Dolphin that it has two flippers with a small fluke and they use their dorsal for the swimming purpose. You may give your own creative shape to these parts of the body. 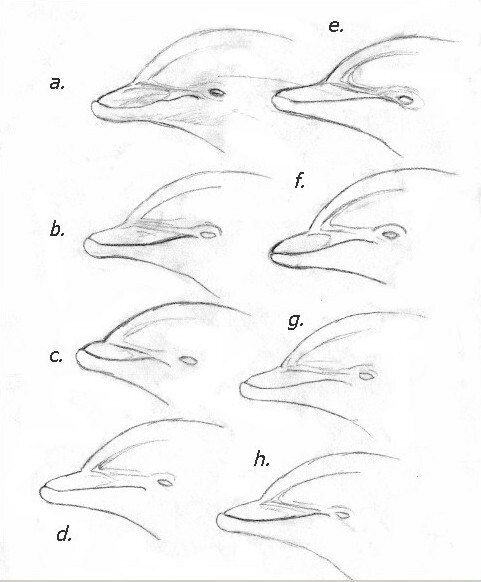 Further the main body frame of the dolphin is aerofoil shaped body below which there is triangle to give the tail to the dolphin. 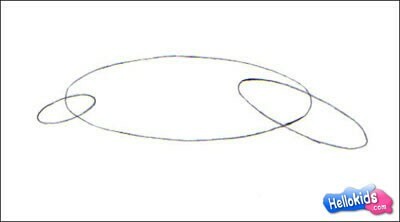 An oval and the curve above the oval is used for the head and the face structure of the body. 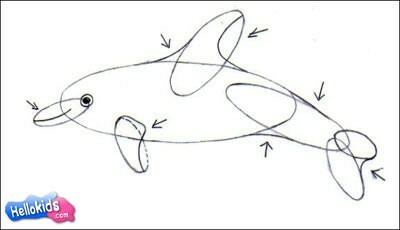 Next start drawing a large line starting from the upper part of the hooked snout. Now come to the eye and behind that draw another line for the neck and after the neck draw a V shaped fin for the dolphin. Then another angle line will meet the back line below.